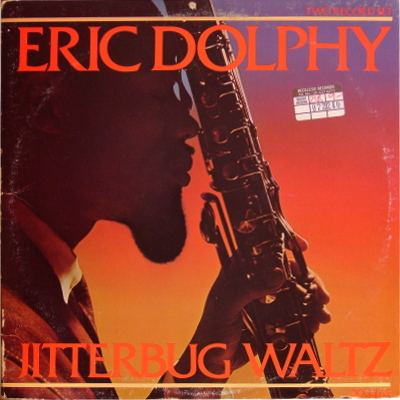 In 1963, Eric Dolphy recorded two of his most rewarding sessions which were originally released on two LPs: Conversations and Iron Man. This music has been reissued numerous times through the years, including in total on this two-LP set; it deserves to come out on CD. These dates are among Dolphy’s finest with the challenging material interpreted by a constantly shifting personnel. Three numbers (“Jitterbug Waltz,” “Iron Man,” and “Mandrake”) find the multi-instrumentalist (alto, flute, and bass clarinet) playing unconventional music with a quintet that includes two masterful musicians at the beginning of their careers: vibraphonist Bobby Hutcherson and trumpeter Woody Shaw. Two other pieces (“Burning Spear” and “Music Matador”) have Dolphy interacting with a variety of top young avant-gardists including Shaw, Hutcherson, Clifford Jordan on soprano, altoist Sonny Simmons, and Prince Lasha on flute. In addition, there are three duets with bassist Richard Davis (“Come Sunday,” “Alone Together,” and “Ode to Charlie Parker”) and an unaccompanied alto piece (an intense “Love Me”). Quite a varied set, essential music for any jazz collection.